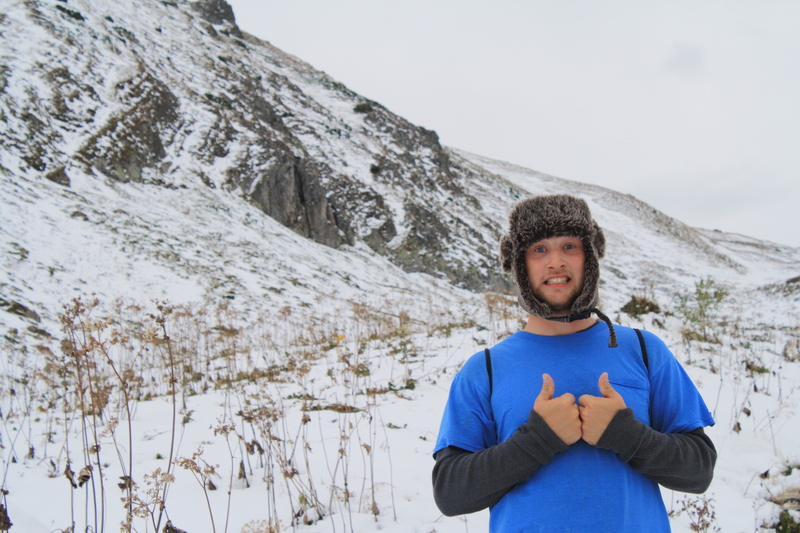 I couldn’t stay away from the High Tatras for long. 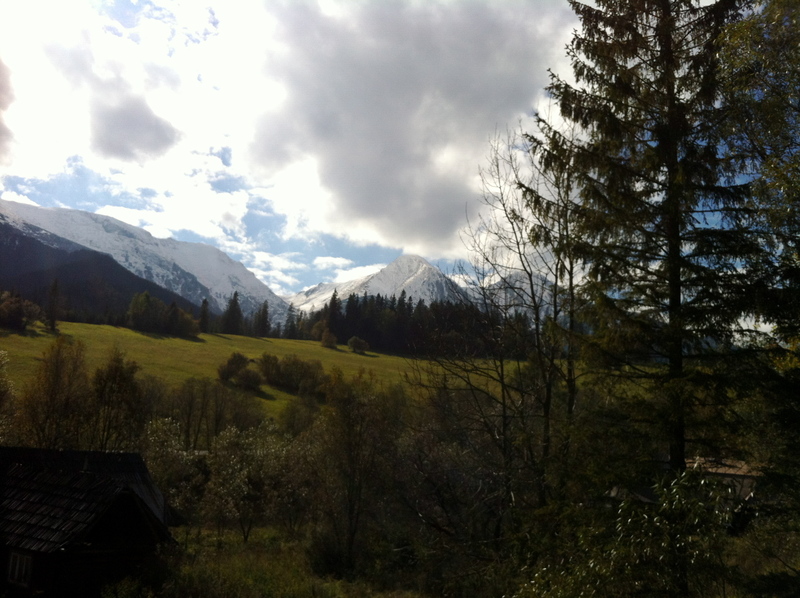 Just three weeks after my first visit to Ždiar, I was longing for mountain air and alpine views. I was also pretty excited to curl up in my comfiest clothes and hot cocoa in the cozy Ginger Monkey common room. 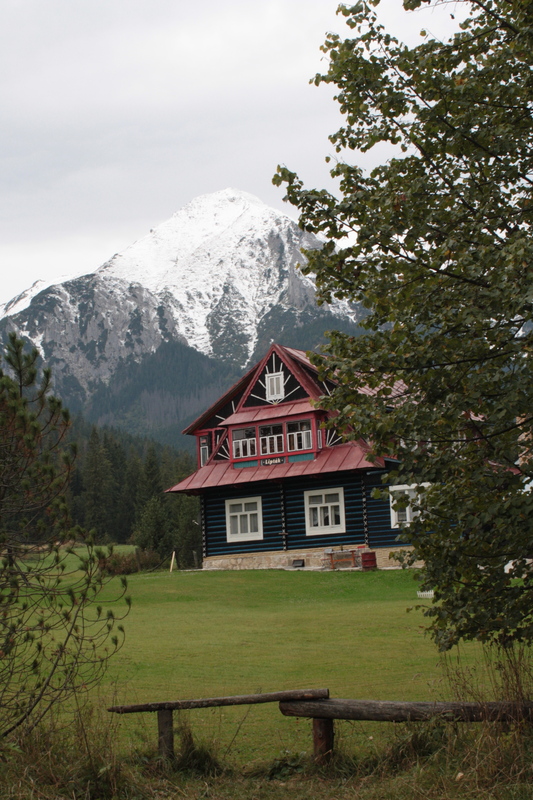 The day we arrived in the Tatras turned out to be utter perfection. Crisp air, stunning vistas complete with character-adding cows, and sunrays streaming through mountain peaks like nobody’s business. 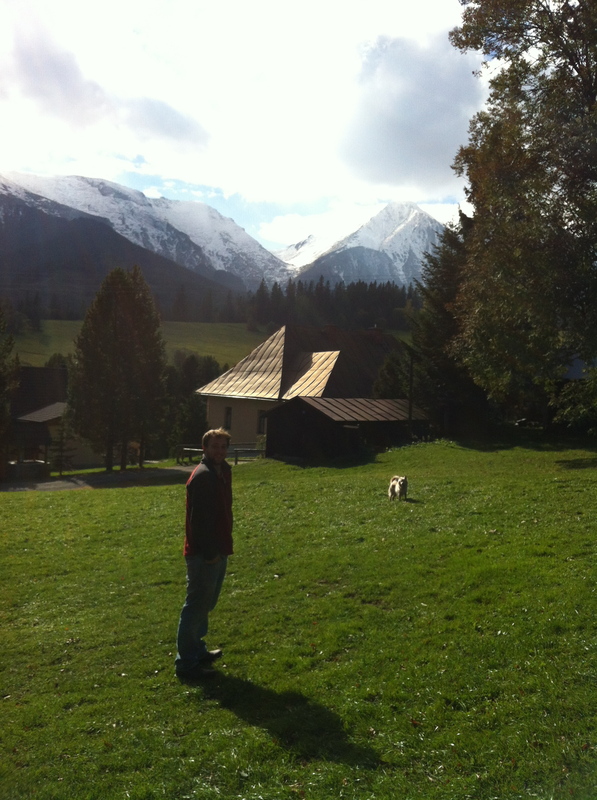 Chris and Wally playing beneath the Bela Tatras. Once we were blissed out from a short trek through rural Slovakian perfection (which also included the hostel’s perfect dog, Wally), we decided we had to take on the Polish Lake hike the next day to continue our fantastic outdoor weekend, questionable weather forecast or not. The drizzle and overcast that greeted us Saturday morning should have been an omen that this day would not be like the last. But ever the optimists, just before 10 a.m. we took a bus that took us to the Slovakian-Polish border. There we walked crossed a bridge over a small river into Poland. While it really is no different than driving, it just feels very dramatic to walk over an international border, and so, we documented with equally dramatic photography. Upon arrival we found the park to be unexpectedly packed for a dreary October morning. However, I always love to see people out enjoying their local natural treasures, and therefore I was more than happy to endure the crowds and traditional Polish horse carts near the park entrance. We walked alongside the crowds on a paved road for about 20 minutes before our the red trail we were told to follow veered into the woods. While we were somewhat wary that the masses continued on to what you would assume to be some sort of landmark (a Polish lake perhaps? ), the directions seemed very clear and thus we began our trek up the mountain. 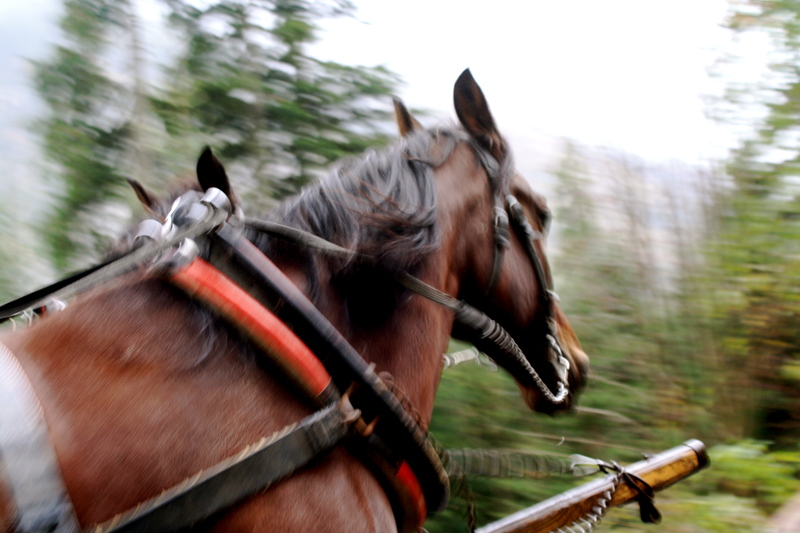 A horse pulling a carriage full of older tourists speeds past. So, as I mentioned earlier, my philosophy is the higher the better. I like hills, I love mountains, and I appreciate both exponentially more when I’ve reached the top. So when heading to Eastern Slovakia this past weekend, I had no choice but to stop by the Northern Slovakian mountain range, the High Tatras, for some hiking along the way. 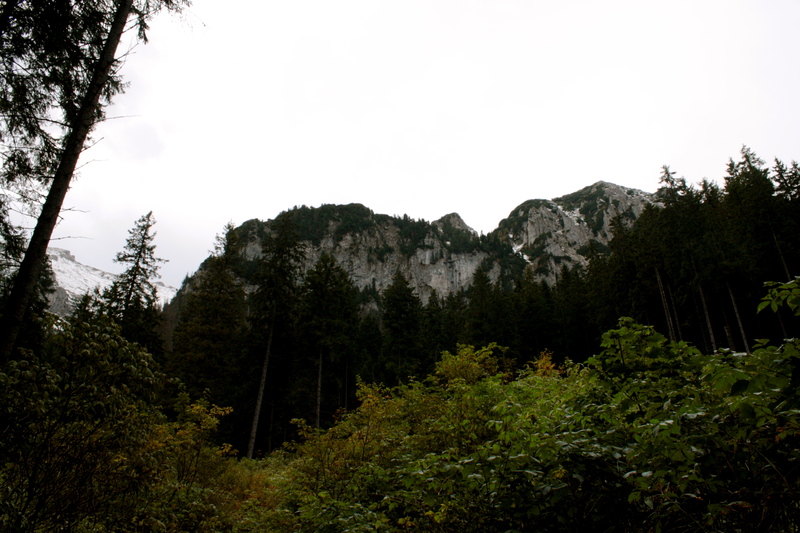 Prior to my own excursion to Eastern-Central Europe, I had never even heard of this mountain range. More than likely, this is far more due to my own ignorance rather than their lack of reputation. 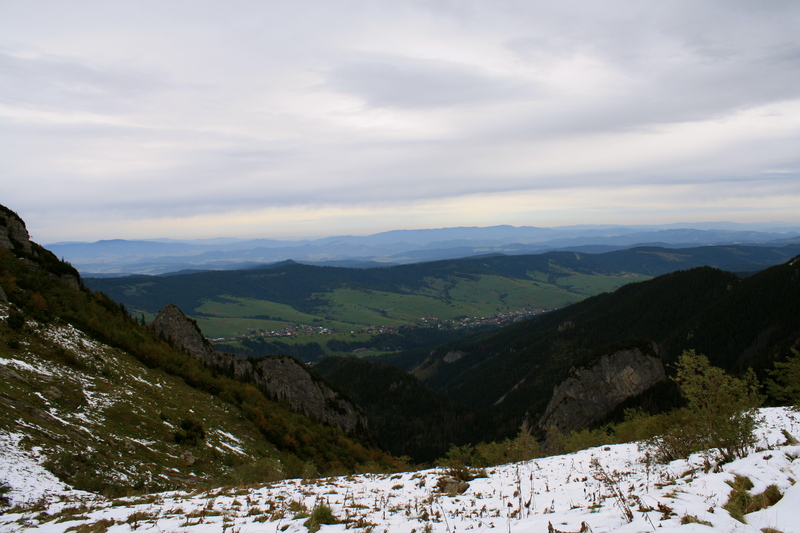 However, if as few people outside of Slovakia realize what they are missing as I suspect, the High Tatras and the towns that lie in their shadow are being shorted of the reputation they deserve. I could go on for hours describing the undisrupted natural beauty, but the pictures tell a far better story than I ever could, so enjoy! As far as mountain homes go, this is pretty near perfection. 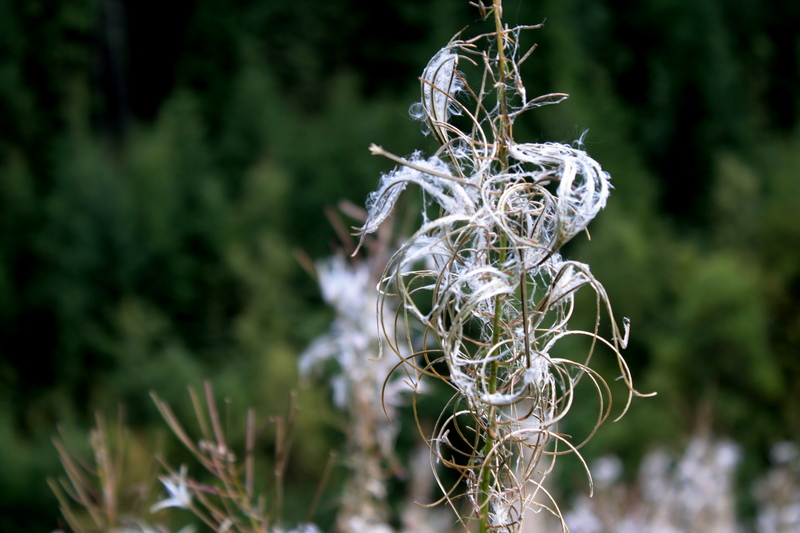 Interesting whirly weed. Not sure what it is, but I enjoy it.